Black Country operator A. Hingley Transport (Brierley Hill) Limited is no ordinary haulage company. Started by Arthur Hingley back in 1962, three generations of the family have so far been involved in the business, which built its reputation shifting steel. But it’s Ray Hingley’s love of trucks – Scania in particular – which sets this firm apart. Ray’s collection of vehicles is unique, not least because his latest acquisition is a Golden Griffin. One of just 50 examples built to celebrate Scania’s UK Golden Jubilee, Ray’s Golden Griffin is special; it’s Number 1. Ray regards every vehicle he owns as part of the family. And he has a close relationship with his local dealer, Keltruck, too. 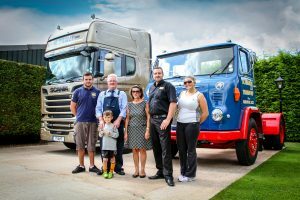 He’s a great personal friend of Keltruck founder Chris Kelly, and together they’ve shared their passion for trucks over the years. 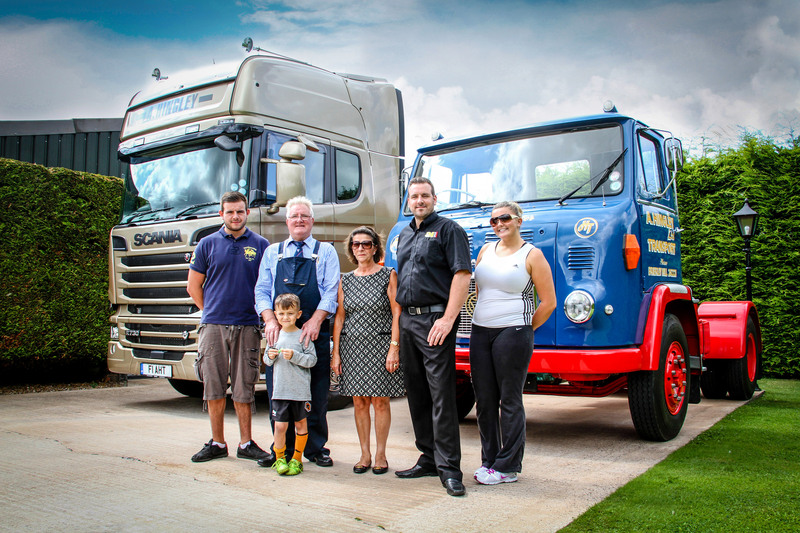 Mike Kelly, Keltruck’s long time Sales Director, is also close to the Hingleys. Ray’s truck collection includes several historic British vehicles. But for him, the stand-out truck is LGK 3D, the very first vehicle imported into the UK by Scania. ‘LGK’, as Ray calls it, is an LB76 tractor unit. Fully restored to as-new condition, it’s been in the Hingley family for many years. While Ray was rebuilding it, his wife Tina would take him Sunday lunch in the garage. The children grew up with it too. LGK is an integral part of their lives.